Posted by gordonwatts in TV. I’m a science fiction fan. You? I used to read books both bad and good all the time. Once I found a good author I’d buy most of their books. There was always something very satisfying about picking up a new book from a known author – I could relax; I would be “safe” in his hands. But this post isn’t about books. It is about TV. Ok – so who remembers Buffy, the Vampire Slayer? The show, I mean? That was around 1997 or so, and went off the air in 2003. I was in grad school and then a post-doc at the time. I didn’t watch a lot of TV – certainly never saw it while it was on. And I’m positive if you’d told me about it I would have decided I wasn’t interested in watching. Further more, having now seen the movie and the pilot of the series, I’m also pretty sure I would have said no. After Buffy he went on to create a number of series, but one in particular seems to be a pretty common entry point into Whedon’s shows: Firefly. A TV series on FOX, it lasted only a year, but has a dedicated cult following now. It is a western, set in a frontier town. No, sorry, that is wrong. It is a western, set in outer space, on the fringes of known civilization. An ensemble cast, the story is mostly about society and the characters relationships with each other. I highly recommend it if you like science fiction and haven’t seen it yet. 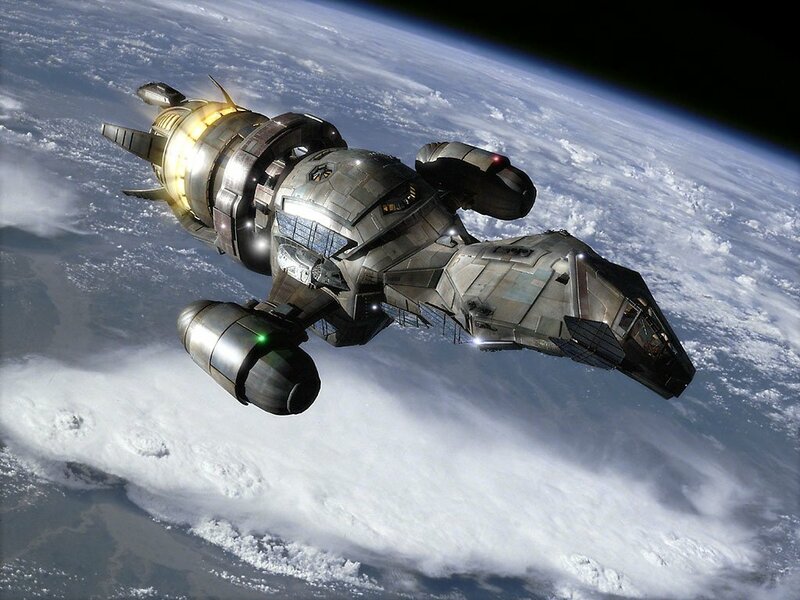 A movie came out of it – Serenity. The film is very good – but watch the show first; it makes the film a whole lot better. Once I was hooked I started looking back to see what else he had done – there was Buffy. Which is, I suppose, his most famous show. I took me a while (there are 7 years of episodes! ), but I finally managed to watch it. Lots of it is very good and worth the watch! I just hope that FOX gives him a year or two to build a real story, considering how bad thing are right now on network TV. Posted by gordonwatts in life, TV. Who knows this guy? 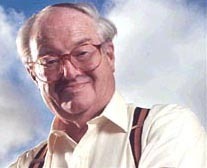 I mostly knew John Mortimer because of the PBS series Rumpole of the Bailey. I used to watch it as a kid, when I got older I read the books and watched it again. Rumpole was an English barrister – as was Mortimer it turns out. He would only defend, never prosecute. And rarely lost. A curmudgeon who liked cheap claret. Leo McKern, who played Rumpole, was a joy to watch. McKern died a while back, in 2002. Mortimer died mid January of this year. Though he stopped adding to the Rumpole series a while back, I’ll miss him! Ok – I’ve got an old post in this blog which seems to be getting enough link love – and is now out of date/wrong. When I first saw this, it looked pretty bad to my eye. Blond, a bunch of socially inept science types. Queue the stereo types. Surprise! They seem to have done a rather good job! One of my favorite episodes is when Penny, the girl, trounces the guys at Halo. Had me rolling on the couch. I’d say overall the show is good (not great). However, you add in the science (which they get right as long as it doesn’t get in the way of telling the story) and some of the personality quirks that I either have or am familiar with – it is good enough to keep me watching it. I’d definitely recommend it for the nerd in you. Posted by gordonwatts in science, TV. I was trying to ignore the TV show Big Bang Theory. Mainly because it seemed like a bunch of stereotypes, and perhaps ones I don’t think are right. However, after reading this column by Ouellette in Symmetry magazine, I discover that an old friend of mine, David Saltzberg, is doing the shows science consulting. People’s opinions of the show weren’t very positive the first time I mentioned it on my blog. Have they changed? I’ll post back when I’ve gotten around to watching it. From Ouellette’s column, it sounds like one has to watch more than just the first one or two episodes (i.e. while I might object to the science stereotypes, women might have complained about the female stereo types and that has been better developed over time). I recently managed to watch a few episodes of an old (and already dead) series called Dead Like Me. I like TV shows that tell a good story and also flirt a bit with the unreal. This is one. The story telling is just excellent. It is about a girl that is killed by a toilet seat from the falling Mir space station, and becomes (against her will) a Grim Reaper — assigned to collect the souls of people just before the die. Other than that (and that she appears as a different person to the still-living), the rules for living are the same as for everyone else. So not only does she have to hold down a crappy job in a temp agency so she has enough money to live, but she also has to run around collecting souls. Nice, huh? Ok, maybe not your cup of tea, but the story telling is excellent. It was on Showtime in 2003 and 2004 (it contains a good deal of profanity – perhaps not as much as the Sopranos). I have no idea why it canceled — perhaps no audience. The creator went on to start another series, Pushing Daisies. I’ve also seen a few episodes of that – not nearly as good. The way they tell the story is cool — but it is also quite remote and I never find myself really caring about the characters. And more than a little spooky the narrator is Jim Dale, who read all the Harry Potter books (that was how I did the whole HP series). Despite all the indicators, I don’t really like Lost. 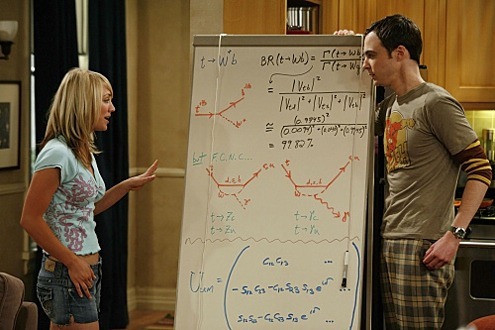 I know lots of physicists that are crazy about the show. And while I don’t dislike it, I never really got into it. Perhaps a generational thing? And yes, all these things violate science. In big ways. Does anyone else find TV Series more fascinating that Movies? I really like the character development one can do over several years rather than over 2 hours. Then there is James Bond… Wait. I didn’t say that! !